Uber, not satisfied with giving customers rides on land, is now looking to the skies. The tech company announced Tuesday at its Elevate Summit that it has struck partnerships with the cities of Dallas and Dubai to demonstrate a network of flying cars by 2020. Uber also announced a handful of partnerships with aviation companies to develop and deliver a flying car. Uber believes that investing in flying cars is essential to protecting its business, and envisions full-scale operations of a flying car network launching in 2023. "If you're not planting the seeds for 5-10 years out, you have no company in five to 10 years," Uber chief product officer Jeff Holden said Tuesday. Uber is already investing heavily in self-driving cars, aware that its existing business could be disrupted by autonomous vehicles. Now it's striving to protect itself from being disrupted by aviation as well. 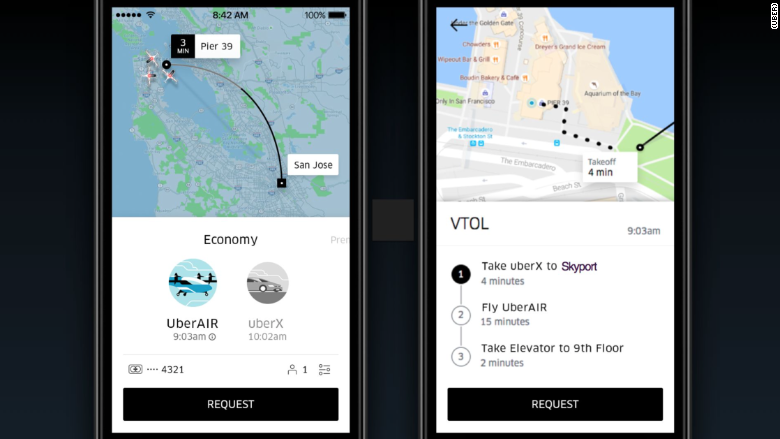 Uber expects flight to be become a daily part of our transportation lives. The company believes it can offer rides in flying cars for about the same price as an UberX ride. The technology could be transformative in areas plagued by traffic. 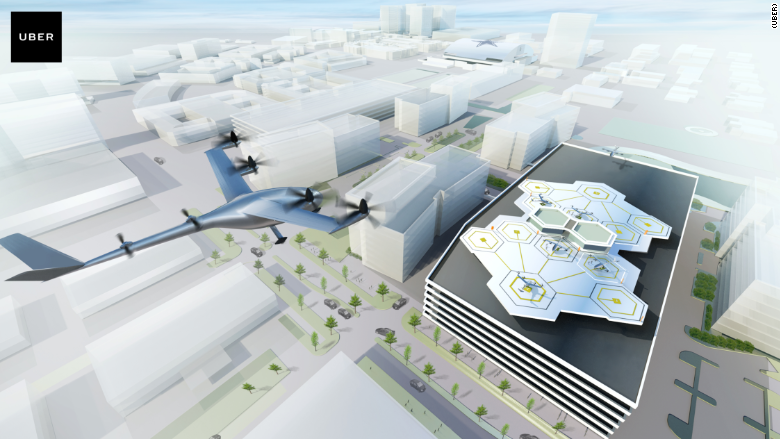 In October, Uber released its ambitious vision for how flying cars, technically known as vertical takeoff and landing vehicles (VTOL), could make transportation incredibly fast and cheap. But interest in the space is heating up. Innovators are racing to capitalize on advances in electric power and artificial intelligence. 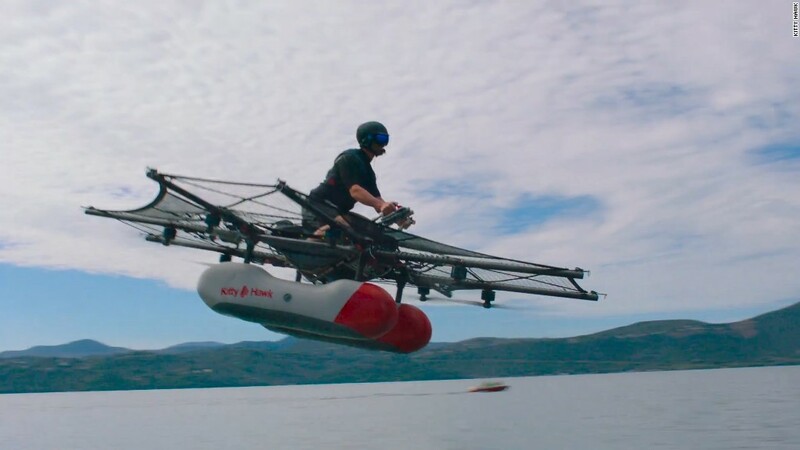 Monday morning, Kitty Hawk released video of a prototype vehicle that can hover above water. The startup is backed by Google (GOOG) cofounder Larry Page. Airbus (EADSF), the French aviation giant, has announced its own plan for developing air taxis.